A quintessential part of British culture, the Guardian newspaper, has hailed the 'ancient Irish' game of hurling as a beacon of sporting courage and commitment. In it's editorial section, the publication heaps praise on hurling's "sporting combatants playing for love not money" and chastises the Premier League for being "soiled with prima dona antics". It calls on the GAA to make DVD copies of last weekend's thrilling 5-16 to 3-16 All-Ireland final victory so that sporting fans across the globe can marvel at "arguably the fastest contact sport played on grass". There is no argument really. "Sporting combatants playing for love not money, with only helmets for protection, clash with ash sticks while trying to catch a ball consisting of cork wrapped in thick leather flying through the air at a terrifying velocity. 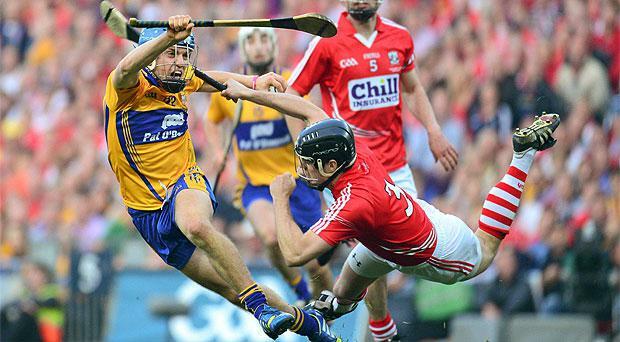 "Welcome to the ancient Irish game of hurling, arguably the fastest contact sport played on grass. Last weekend, 82,000 people wearing the red and white of Cork or the yellow and blue of Clare watched their heroes play out what many regard as the greatest All-Ireland hurling final. "Hopefully the Gaelic Athletic Association will do all sports fans everywhere a massive favour and produce DVD copies of this memorable game, where Clare emerged victorious. "As Premier League soccer is again soiled with prima donna antics – see the scratch-and-send-off controversy of Torres at Spurs at the weekend – the hand-eye co-ordination and the courage and commitment of Cork and Clare were a shining example of sportsmanship."